When Judith Smith cofounded AXIS Dance Company in Oakland, Calif., in 1987, it was one of the first contemporary dance companies in the world to create and present dance featuring dancers with physical disabilities who used wheelchairs, prosthetics and crutches performing alongside nondisabled dancers. A former champion equestrienne, Judith was paralyzed in a car accident in Colorado when she was 17 years old. She transferred her passion for riding to dance when she discovered contact improvisation in Berkeley, California in 1983. Smith often tells the story how she met Thais Mazur -- who originated the idea that would become AXIS Dance Company -- in a martial arts class. Without any real familiarity with dance, she joined a one-off dance project Mazur was organizing. Dance and martial arts, she says, changed her relationship to her own body and to her disability in a profound way. She educated herself about dance by seeing every performance she could and first fell in love with the work of Joe Goode, Sonya Delwaide, Joanna Haigood, and Bill T. Jones. In 2000, Jones was the first choreographer to create a specially commissioned work for the AXIS repertoire. Since that time, the company has commissioned work by such major choreographers as Stephen Petronio, Yvonne Rainer, Ann Carlson and Victoria Marks. AXIS’s influence has been felt across the country, setting the standard for a small but vital cohort of similarly physically integrated dance companies. But for Smith, progress has been imperfect and slow. This May 2016, with lead support from the Doris Duke Charitable Foundation’s Fund for National Projects, AXIS is convening a unique gathering of physically integrated dancers and dance companies, alongside presenters, dance service organizations, and funders with expertise in this area. 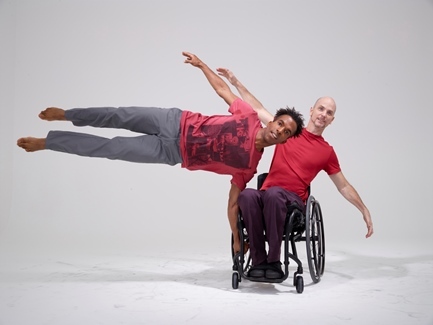 This National Convening on Physically Integrated Dance is, Smith says, the first time such an event has been held in the United States since the First International Festival for Wheelchair Dance presented by Dance Umbrella in Boston in 1997. The convening also salutes the 25th anniversary activities associated with the federal Americans with Disabilities Act (ADA), which in 1990 prohibited discrimination against people with disabilities in employment, transportation, public accommodation, communications, and governmental activities. By distributing research findings through Dance/USA and other conferences and cultural organizations, AXIS hopes to spark a wider conversation, which will be amplified at regional town hall convenings in Boston, Chicago, Oakland, New York and other potential sites. In a recent conversation, Smith, who is AXIS’s artistic director, discussed the current challenges and opportunities to expand the definition of dance and dancer, and radically extends the palette of movement possibilities. Smith: Having grown up in the field of physically integrated dance and having helped it to grow, I tend to see that some of the goals we set for ourselves 28 years ago have been somewhat attained, while others have not. My baseline for comparison is how disabled artists and disability art is supported in the U.K. and Australia. There, they have a number of events like the DaDa Fest, the Unlimited Festival, and the Undercover Artist Festival. Those events are well attended by a broad public. In the U.K., weaving inclusion into the cultural fabric is just assumed to be part of their cultural makeup in a way that it is not here. We have a lot of catching up to do. A big part of the reason is funding. I know we do not have the same type of government support for the arts in the United States, but there is a lot of wealth in this county. Our question is: Are there stakeholders that we can find and activate to support the growth of the field of physically integrated dance? My hunch is that there are. As we talk about equity and diversity in the arts, there is a danger that disability is being left out of the discussion of both. That's a huge missed opportunity. People with disabilities are the most discriminated against segment in our society; if you look at employment and education statistics it’s appalling. Companies like AXIS and Deaf West Theatre represent a genre within the disability arts field, but we operate in dance and theater worlds. One way to demonstrate this is to point out that it is easier to find a nondisabled person to play a disabled role than to find a disabled person to play a disabled role. That’s generally not the case if you’re looking for a young person, an old person, or a person of color. Disabled dancers and actors do exist, but their opportunities to train, much less make a living as artists, are very, very limited. The theater community has taken this on in a number of discussions. In our field, we are just at the beginning of this conversation. But I want to acknowledge that we have created some of our own barriers. We have not done the best job we could of collaborating with each other. When resources are limited, people are less willing to share. Physically integrated dance companies are like every other dance company: we are competing for performers and funding. I am trying to change that in how I interact with other physically integrated dance companies, trying to mentor them when they need information. The National Convening this spring represents that commitment, trying to determine where the barriers and opportunities are across the field, and how we can address them together. There are pioneering American integrated dance companies and teachers that have not gotten the attention and opportunities they deserve. 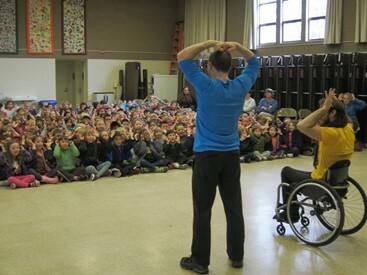 Alito Alessi and DanceAbility International in Oregon have worked as presenters and teachers, and have created public parades all over the world. Mary Verdi-Fletcher at Dancing Wheels in Cleveland has been working for 30 years, spreading the work through lecture performances throughout the Midwest. Kitty Lunn, who founded Infinity Dance Theatre in New York, likes to quote something Agnes De Mille said to her: “You have to learn to dance in the body you have.” This is something we need to learn across the field, and not just in the area of physically integrated dance. We know that choreographers and nondisabled dancers are eager to work with physically integrated dance companies. The first time AXIS was at MANCC in Tallahassee, Fla., (Maggie Allesee National Center for Choreography), we had applications from 67 emerging choreographers who wanted to work with us. These choreographers are really interested in stretching themselves artistically and choreographically. It’s like painters who find a new color that they haven't used before. AXIS has commissioned work from more than 25 choreographers, many of them major figures, and perhaps another 10 to 15 have workshopped with the company. The dancers who are attracted to physically integrated dance are certainly attracted to the choreographers we commission, but I think they are looking for something different in dance and ways to feel socially relevant and give back to the community. These dancers get really excited about movement possibilities that happen when very divergent bodies come together as opposed to working in a company where everyone is a very similar type of body. Dance/NYC embarked on a significant three-year research project to increase inclusion and access to the art form. They have partnered with a number of key stakeholders in the New York community, including the Mayor’s Office for People with Disabilities, Art Beyond Sight, and Inclusion in the Arts. This is a fantastic example of how local and regional initiatives can make a difference in setting the tone and directing our attention to certain issues. Right now, this summer's national convening is focused on physically integrated dance -- dance that includes people with physical disabilities. We are committed to developing strategies that enhance high artistic quality in physically integrated dance. When we surveyed the field as part of our planning for the convening, the two priorities that rose to the top had to do with the quality of our practice. The first was training and the development of dance pedagogy for dancers with physical disabilities. The second was training and experience for choreographers who work with, or want to work with, disabled artists. If we improve and expand these two aspects of physically integrated work, it will definitely elevate the overall quality of our efforts. Beyond that, we are at a point where we can develop richer, more active networks among people involved in physically integrated dance all over the world. That is what the combination of international, national and regional conversations is all about. AXIS wants to help move that effort forward. There is more to inclusive art than including dancers with physical disabilities. I am not qualified to speak to every facet of inclusion, and we need to limit the scope of what we can tackle at this point in time. But I know that some of what we learn about physically integrated dance will be transferable to artistic projects that include people with learning and cognitive disabilities and hearing or vision impairments. We’re just at the beginning of our work. If we look at society as being stronger when it incorporates more voices, adding the voice of physically integrated dance to the mix is a good thing. If performing arts institutions in general don’t embrace disability inclusion as an important aspect of equity, they are missing out on new ways of thinking and innovating. 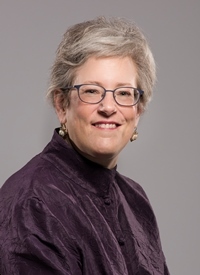 Debra Cash is executive director of Boston Dance Alliance, which will host the New England Town Hall on Physically Integrated Dance in June 2016. She has reported, taught, and lectured on dance, performing arts, design, and cultural policy for print, broadcast, and internet media. Her roles in the Boston cultural community have spanned journalism, education, consulting, and advocacy for the rights of creative professionals. She regularly presents audience engagement lectures for World Music/CRASHarts and other leading regional presenters. She is scholar in residence at the Bates Dance Festival and has served in that same capacity at the Jacob’s Pillow Dance Festival. Debra was a dance critic for the Boston Globe for 17 years, followed by a five-year stint at WBUR, and seven as a founding senior contributor to The Arts Fuse. She is consulting on the research, documentation and evaluation of the 2016 National Convening on Physically Integrated Dance.